We wanted to congratulate the staff and partners of Bay Area CAN for a successful launch last week! This partnership focuses on powerful client management tools, including a shared disaster client and resource information database, working across nonprofit and faith-based organizations in the ten county area around San Francisco. 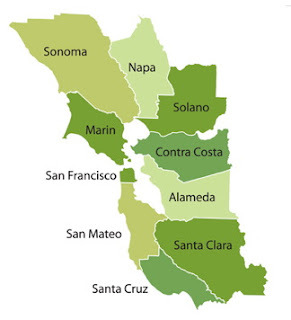 These counties include: Alameda, Contra Costa, Marin, Napa, Santa Clara, Santa Cruz, San Francisco, San Mateo, Solano, and Sonoma. Organized through SFCARD, the founding partners include the Bay Area Chapter of the American Red Cross, the San Fransisco Department of Emergency Management, the United Way of the Bay Area, 2-1-1, the Salvation Army, the National Voluntary Organizations Active in Disaster (NVOAD), and the Fritz Institute. This is an extraordinary advance, supporting both locally driven needs, and the option for full integration with national responders and partners should a large scale disaster occur. The Community Operating System solution provided by VisionLink supports the entire range of work across the planning, response, and recovery stages of disasters. This is the same community integrating solution used by others for HMIS, elder care, youth opportunity, information & referral, mental health, crisis line and other initiatives where client and community resources can and should be more effectively and efficiently coordinated. Again, congratulations and welcome aboard, we are honored to support your work.